nice. i love the drop the eibach pro's give. i almost got a set.. opted for a little more adjustability with kw's. looking good. makes me look forward to selling my 18's (that were included in the sale of my car..) for nice 18/19" oems. Nice! White is awesome. Friggin rare! wishing i had taken more/better pics this summer. this is from shortly after i got her, have since gone to all satin black grills, striped the lettering, led bulbs for the rings and thanks to a fellow member here had the drl and ambers coded out. Next step is installing the coils and next summer upgrade to a bbk of some sorts.. Probably 335i's at a minimum. I have a BBK upgrade planned down the line if the price is right, but I'll be going with the 135i setup purely for the looks. ECS Tuning had this kit on a couple years ago for something like $1k. I looked into the 335i parts if you buy all the parts new it would run you about 1k. Here are my next 2 upgrades. I know of at least one wagon that the intake has been upgraded on so I thought I'd take a stab at it. You can read about it here. Before I had this wagon, I had a 330i e90 and I have to say that this 328xi feels slowwwwwww and not as peppy. So hopefully the intake an AA tune give it a much needed boost. Glad to see more e91 getting posted. I must agree, a white wagon looks very sleek. I think that the e91 looks best in white or blue. Here are various (17,18,19) wheel setups I have been through. I like the look of the 19s the best but it was a harder ride. I think the 18s are a good look without sacrificing the ride quality. nice! a wheel whore!! can't wait to trade my new 18's for something different myself. lol ! I'm actually looking at getting a set of 335i front and rear callipers and rotors as we speak.. it looks like it all bolts up to us xi guys? let us know on the intake! Sounds very cool. I sadly have a (n52?) 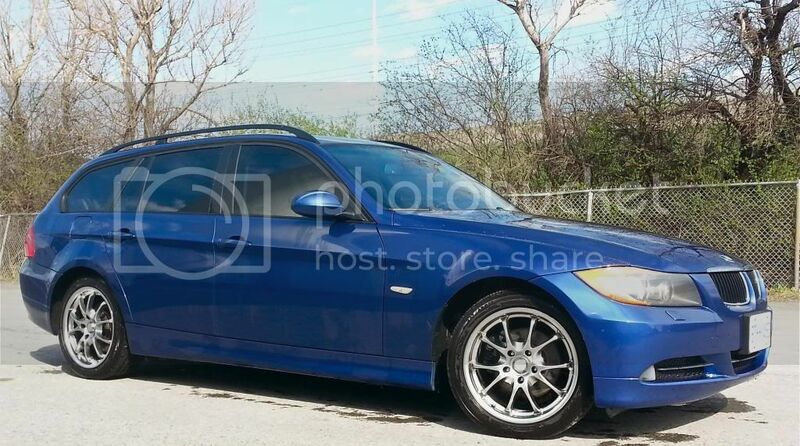 325xi 2006 which has a 215hp.. sorta regret not jumping on a lci montego blue 2009 wagon.. grr. You can do the intake manifold swap on your car too. I haven't had time to install it yet. Did you do a tune after or just staight swap? I drove it without the tune but the engine was getting power drop in mid range RPM. You need the tune for sure. Which tune did you get? I was thinking of getting the AA. 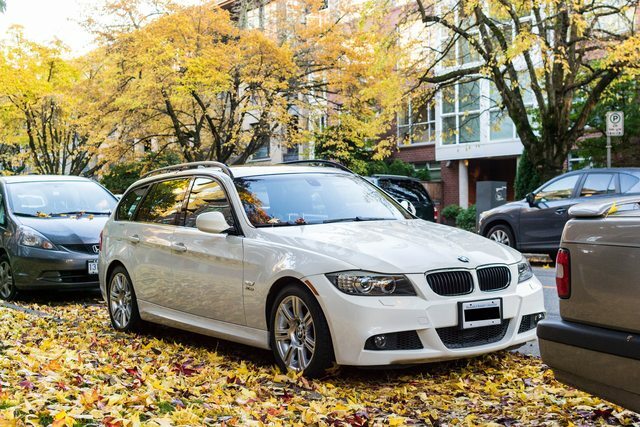 Bone stock 328i Touring M-Sport, Style 194s for the winter, on the hunt for summer wheels. 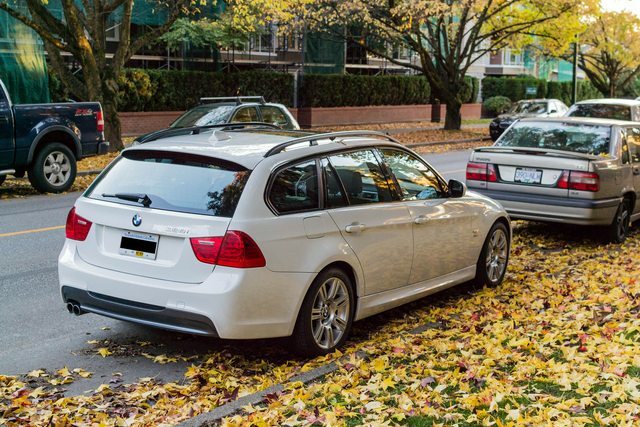 Not a BMW, but I'm currently in the market for a 335i sedan, only because there aren't any 335i wagons. Ack! 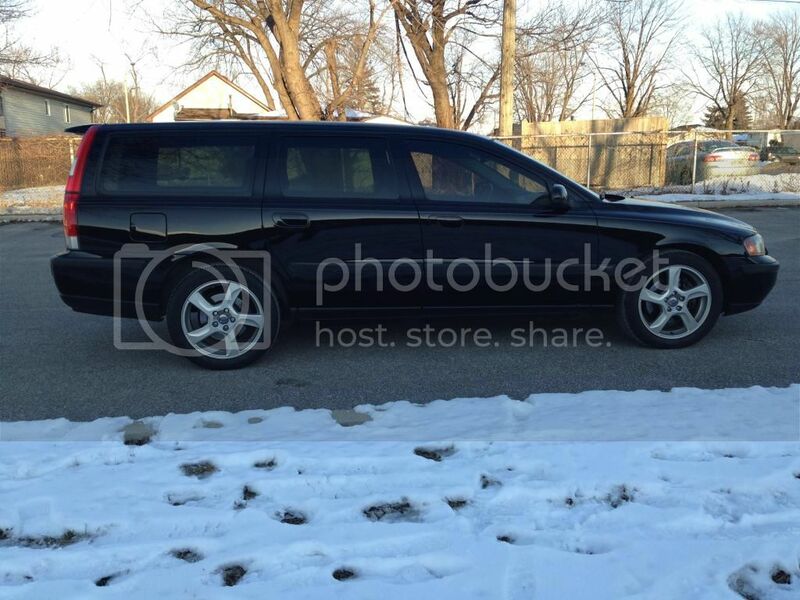 Welcome non BMW owner lol.. At least its a wagon! A guy from our local Audi forums. Great weather on the west coast...anyone put their summers on yet? Last edited by grn.eyed.bandit; 02-17-2015 at 07:38 PM. Since I bent three rims last winter I'm on the hunt for some staggered 18" OE wheels for my '10 e91. Does anyone have anything interesting?? I would prefer Msport rims.